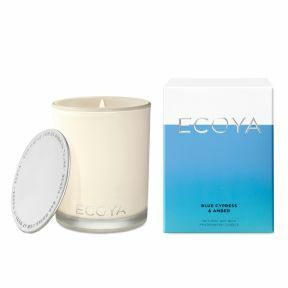 Housed in a beautiful glass jar topped with a silver lid, the seven reed Ecoya Diffuser is designed for small to medium spaces with a long-lasting scent. 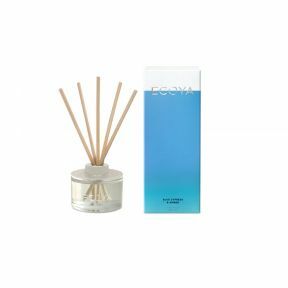 The reed Diffuser is presented in a stunning gift box, making it ideal for gifting. 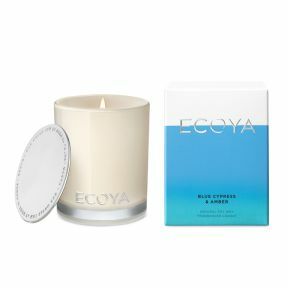 A warm base of amber, folded through an Australian blue cypress-inspired and myrrh fragrance, with just a hint of honey-dried tropical fruits for a delicate finish.